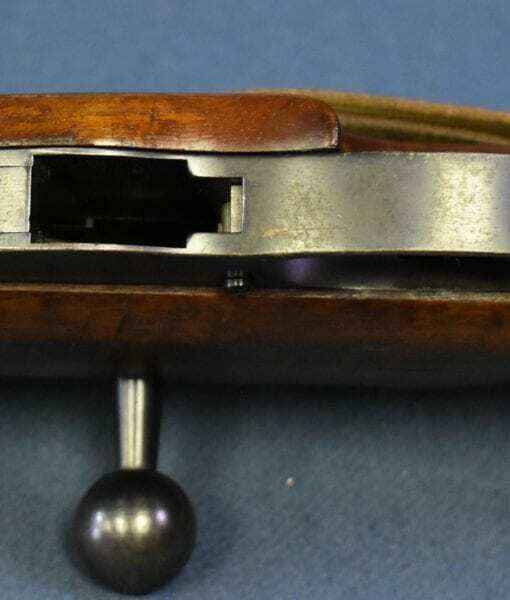 SOLD SCARCE NAZI CAPTURED & WAFFENAMTED KARABINER 411(h)…DUTCH NM No.1 CARBINE…MINT,MATCHING,SLING! 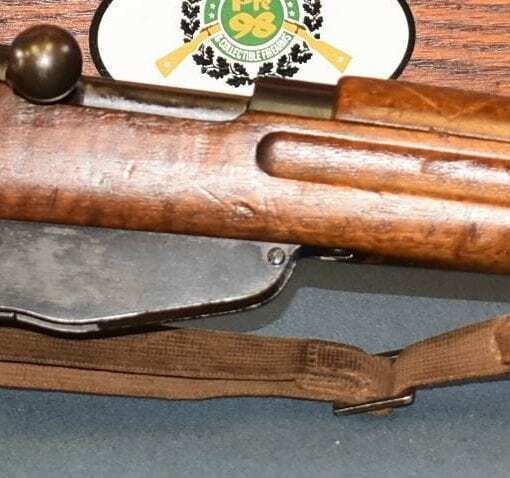 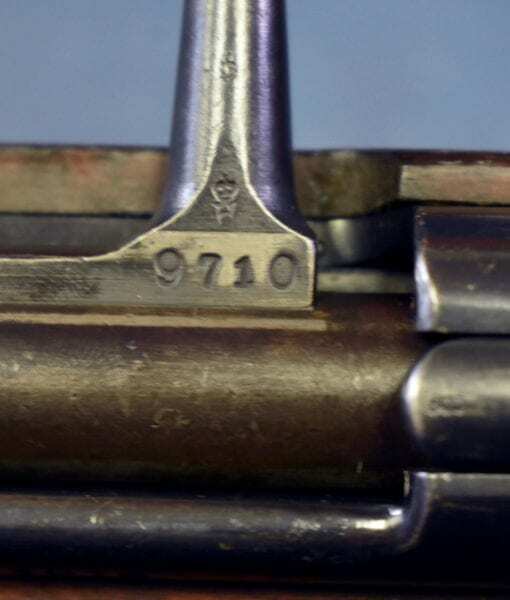 In mint, all matching condition, (which in and of itself is almost an impossibility), we have a Nazi issued and waffenamted Dutch New Model No.1 Cavalry Carbine in 6.5×53 Dutch caliber. 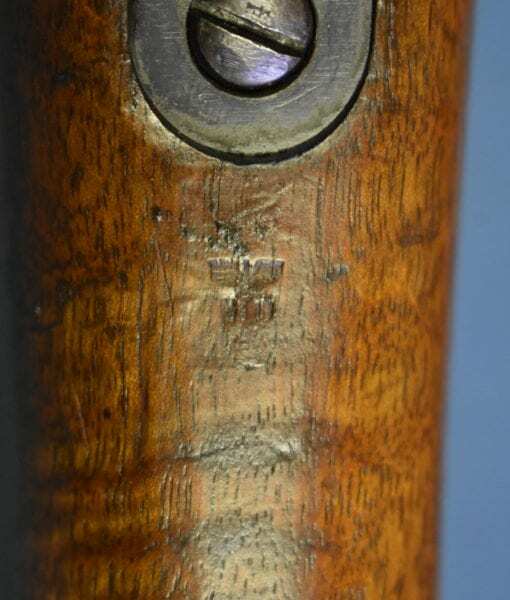 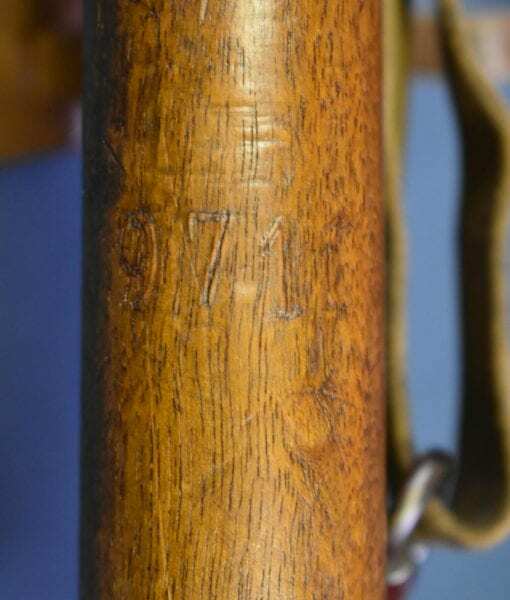 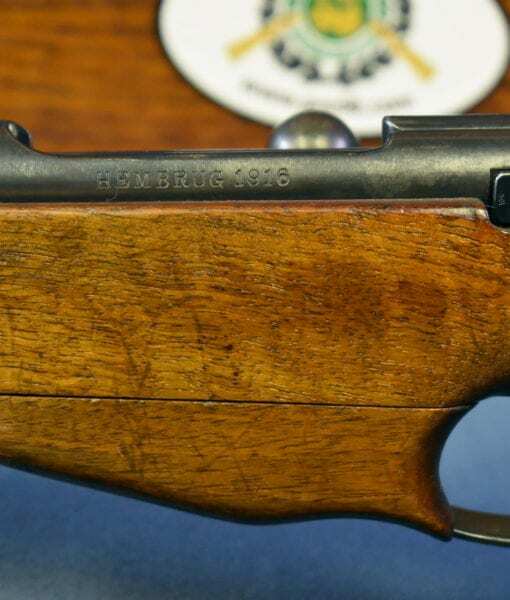 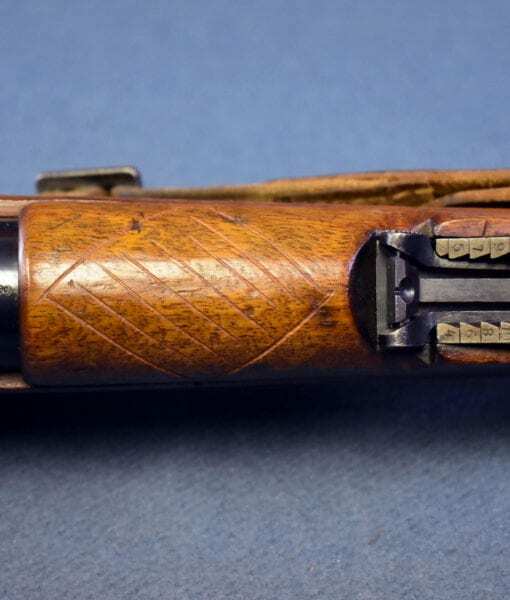 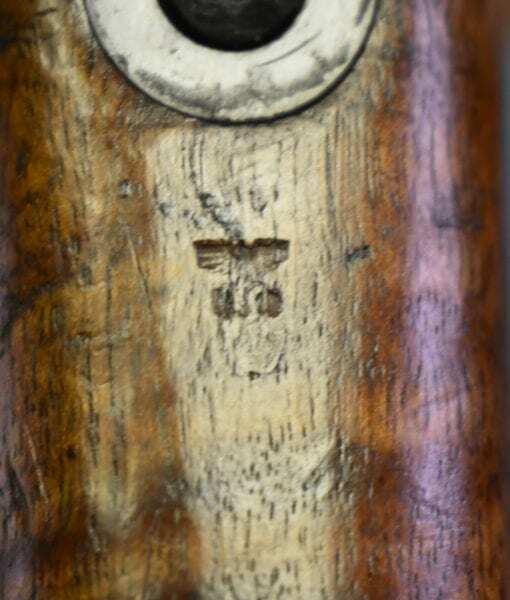 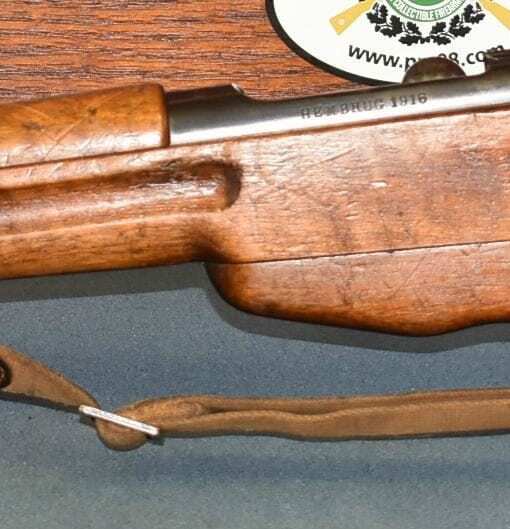 This rifle bears the small eagle/Mg10 Marking of the Magdeburg Depot which repaired and inspected Beutewaffen (foreign weapons). 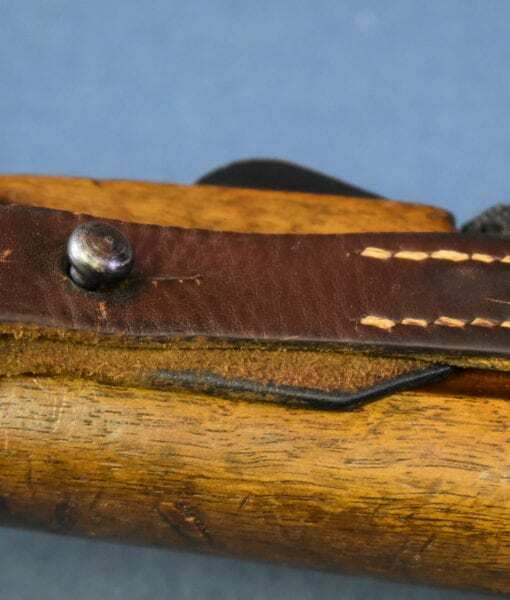 Amazingly this still even has the original leather and canvas sling. 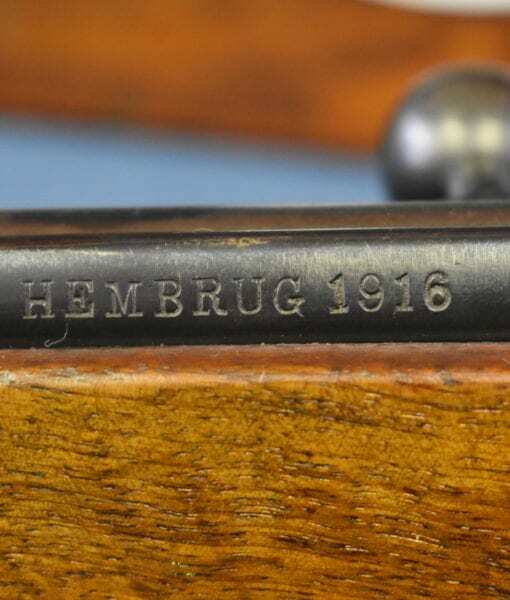 These weapons were captured and surrendered when Holland collapsed in 1940 during the German onslaught. 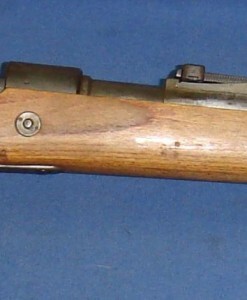 They were widley issued on all fronts, and there are pictures of them being used in Russia, and many pictures of use by German forces in northwestern Europe. 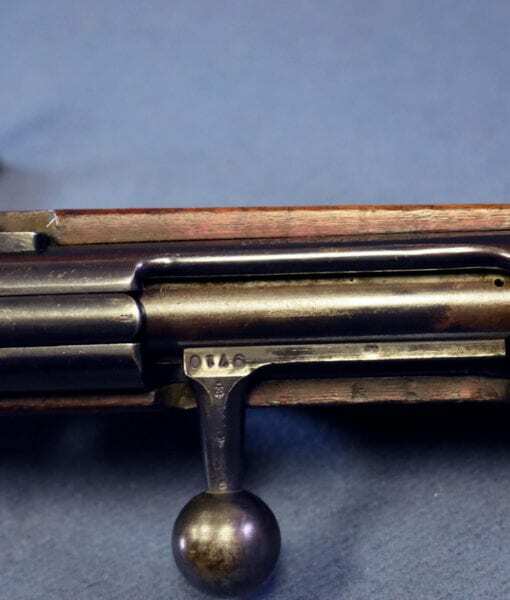 They were also very widely distributed to the Volksturm late in the war. 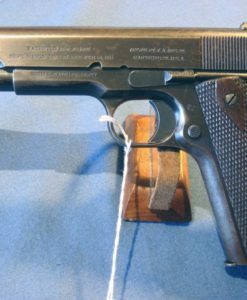 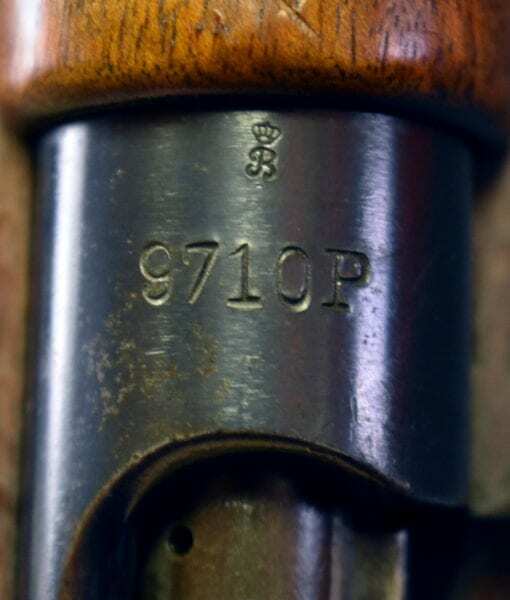 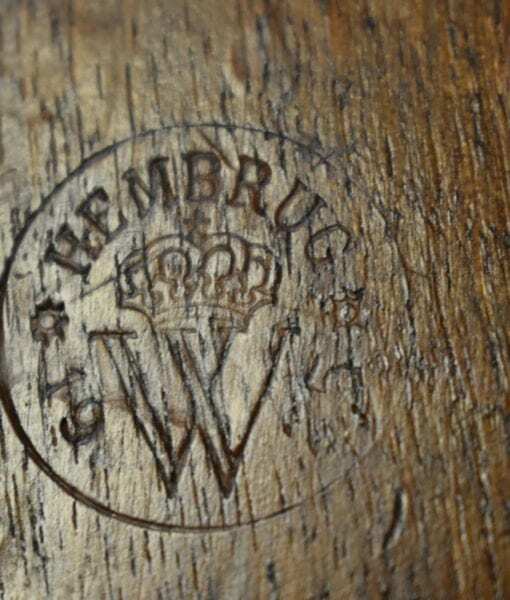 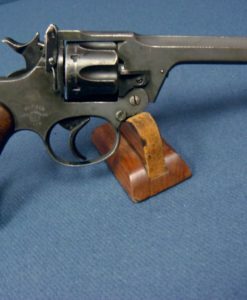 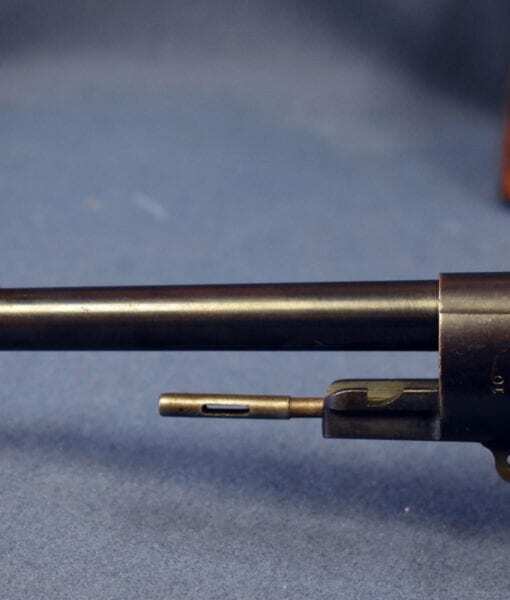 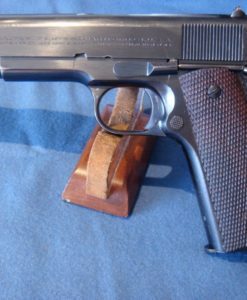 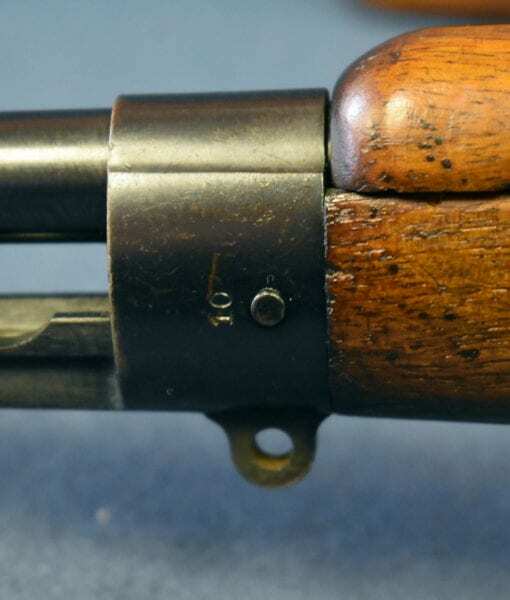 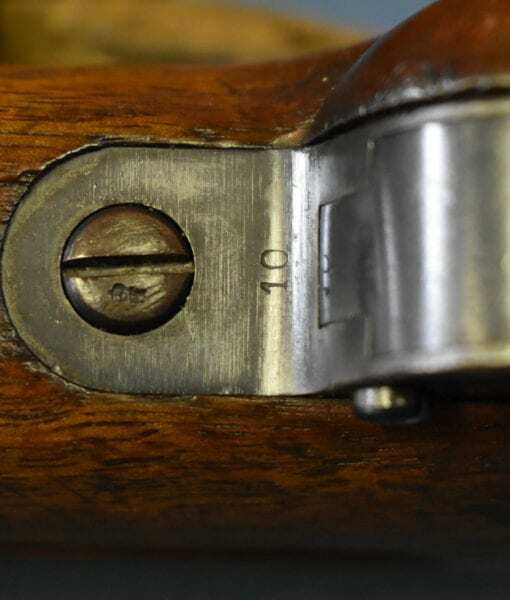 The Germans used almost every weapon that they captured; finding one with actual German inspection marks is very scarce as they would only get them if they went into a depot repair facility. 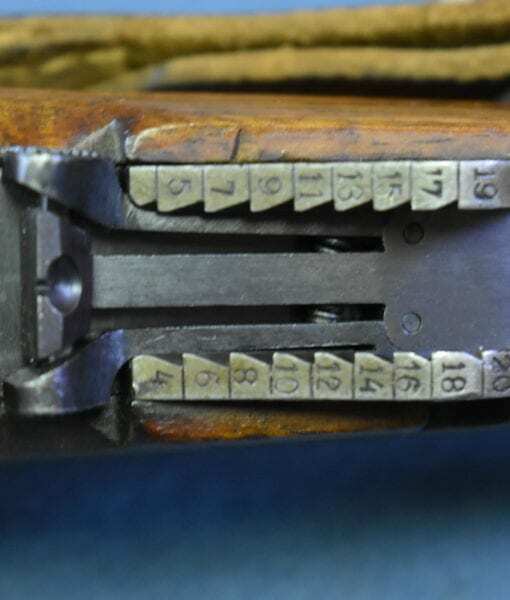 Today there is huge interest in these Beutewaffen and a book has recently been published on the subject as well.